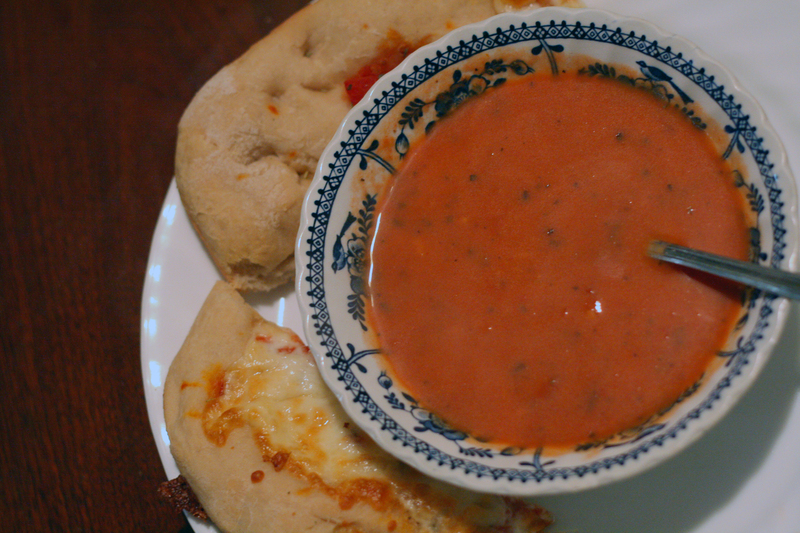 We don't frequently have tomato soup at our house, but it is a comfort food that I crave every so often. And, I never have the cans of tomato soup sitting around when that craving hits (nor do I really relish canned soup). This problem is now solved for all time. This tomato soup is so easy to make, and the ingredients are nearly always in my pantry, that I think we'll be enjoying this for lunch regularly. Heat the spaghetti sauce and stock in a saucepan until piping hot. Stir in the heavy cream and serve. I made this for lunch today and wow! It was SO good! I don't think I'll be able to go back to canned tomato soup ever again. Thanks for this recipe.